Who doesn’t love to slack off at work? Let’s face it, some of you are probably reading this on company time right now. Would you like us to throw in some business-speak in case the boss looks over your shoulder? Slacking at work has a long, noble tradition in the office environment. Many a bored employee has discovered previously untapped artistic vision skills though no other avenue than a pile of those black binder clips. In fact they should sell those by the thousand-count bag, right next to the Legos. But if your company is getting a little worried about the office supplies budget after you discovered your latent talent for Post-It note origami, you might have to turn to office desk-top toys. The cool thing with these is that they’re also fun for visitors to play with, so you can pacify guests for a few minutes while you punch up their spreadsheet or file their TPS reports or whatever tiresome thing they want you to do. You can only read so many Dilbert cartoons and play so many games of Windows Freecell, so browse our list of toys for office workers. We hope this gets you through your shift until you can figure out how to ninja out of the building through the ventilation system. Suitable for office use, used for creativity and craft decoration on your desktop. Endless combinations. It is up to your patience and creativeness. WARNING: Keep away from all children. AGE 14+ recommendation. Magnet flux index less than 30. As long as you’re not Insane Clown Posse, you know how magnets work (how old is that meme now?). You can find no end of demonstration videos of magnet sets like these on YouTube. 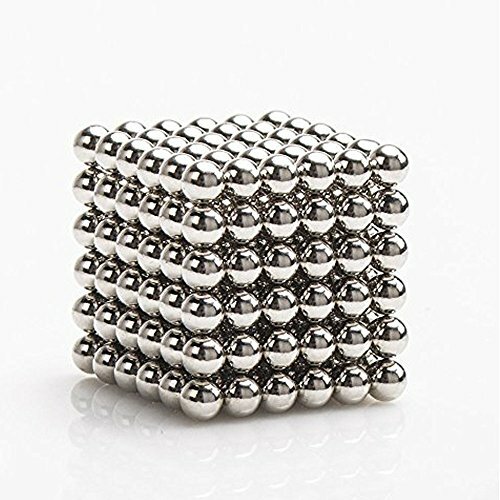 They’re hard to describe without seeing them in action, but these magnets hold rigid structure and yet have just enough attraction to easily manipulate them. The effect is a cross between modeling clay and modular construction units, as you mold these into cubes, wheels, gears, dodecahedrons, and anything else you can dream up. 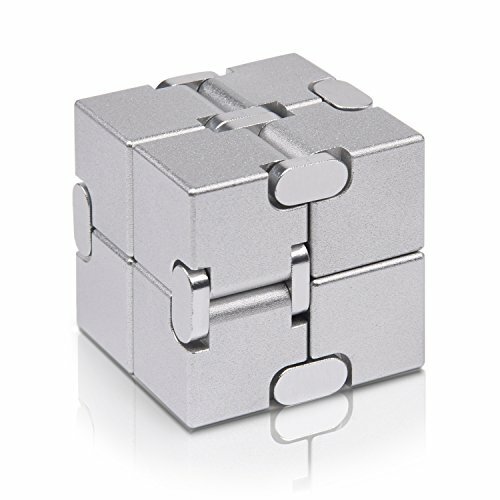 INFINITY CUBE - Infinity Cube is made from premium anodized aluminum alloy,CNC machined.The foldable Infinity Cube is composed of eight small cubes.Each cube can be rotated from any direction and angle.Hold in one hand and make in any shape you like. PERFECT GIFT CHOICE - Suitable for Adults and kids over 8 years old and the beautiful high-quality retail packaging included makes our fidget spinner the ideal present for any family member or for your friends. The time of the Fidget Spinner has come and gone, now destined to pop up on a VH1 “I Love the 2010s” special years hence. This is the Fidget Cube, a jointed cube made of blocks which flip, fold, and cascade in a variety of configurations. It’s sort of like a Jacob’s Ladder in 3D. We like the classy metal model for looking cooler and being more satisfying to twiddle. 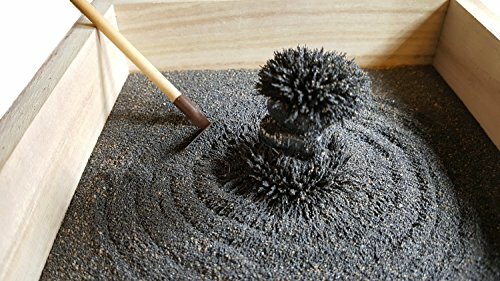 MagZen is a unique "Magnetic" Zen Garden that combines natural Magnetic Sand together with Three (3) Polished Hematite Magnet Rocks and three (3) Real Metal & Wood Tools. Use the magnets and the tools to enhance creativity, relaxation, peace and Zen. Sandbox toys are a common favorite in desktop toys, but this is a unique take on the concept. It’s a box of magnetic sand, which can be manipulated with various small tools into pleasing landscapes. It’s a big favorite among the ASMR crowd – that stands for “Autonomous Sensory Meridian Response,” a pleasurable sensation which is triggered by delicate things like the gentle ticking of magnetic sand grains on a metal tool, tactile stimulation from sand, whispering sounds, and whatnot. It’s great fun for those who are into that sort of thing, and still a fun toy even without the ASMR kick. 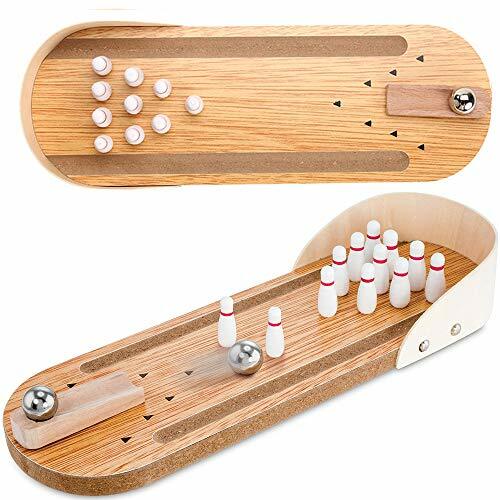 DESKTOP TOYS FOR OFFICE HOME SCHOOL - mini wooden bowling game table desktop toys for kids adult relief stress and exercise brain,best board tabletop balls set interactive toys for party,home groups indoor play set .great mini ball games, office games, desk games, tabletop toy games. DESK GAMES FOR PARTY FAVORS -The Scoring is the same as real bowling game,makes you feel like being at the real bowling alley.Just go for a strike at home or office freely. Have this bowling set on your office desk to help you relax and reduce tension. BOWLING GAMES FOR KIDS - Small size,well packed with box, you can take it out, such as traveling, schooling, working in break time.The table bowling toy bowling game can be played anytime on a desktop, table top, dining table, countertop at home or office with an opponent. COOL MINI BOWLING GAME SET - The mini desktop Bowling game toy is Easy to set up and fun to play. Just stand up the ten mini bowling pins, position the ramp in the desired direction, then send the ball rolling down.The table top classic desktop miniature bowling game Perfect for you to take everywhere to play for fun. What’s your indoor office game, those tired plastic golf-putt sets from the 1950s? Time to step up your game! The new hotness is desktop bowling, and before you even play this set, you’re knocked out at how clever the construction is. It’s perfect for that minute’s distraction to refocus yourself between phone calls. We just have to wonder when they’ll make an automatic pinsetter to replace the pins every time. For now, this is the desktop toy to get your Lebowski on. 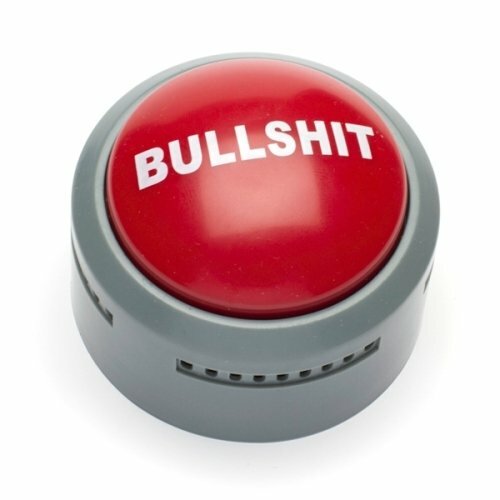 This is a satisfying big red button to punch which plays one of five random messages declaring “Bulls***!” in various levels of sarcasm, complete with sound effects. Now, maybe you’re not going to play it all the time, but that’s not what it’s for. After you’ve demonstrated it to your office mates, it’s great to leave it on your desk at all times, as a reminder that you’re done putting up with their B.S. A minion will never again try to run some lame excuse past you when this button is staring at them. FOUR UNIQUE TOOLS AND VARIED/UNIQUE STONES: Comes with four handcrafted bamboo tools that each serve a different purpose. Two types of Rakes as well as a Pen that can be used to create unique and intricate marks, lines, and curves. The smoothing tool allows you to flatten the sand with ease, allowing you to spend more time creating. The set includes an engraved 'ZEN' stone, and an assortment of black stones and river stones that are unique to each set. DEEP BASE: Have you ever used a Zen Garden where the tools scratch and scrape against the bottom or the sand spills over the sides during use? That will not happen with ours as it features a deep 2cm tall sand reservoir, creating a more peaceful and calming experience. EXTRA SAND INCLUDED: Each set includes more sand than needed to fill the base, so that you can fill it as much as you desire. It can also be used to replenish any lost sand in the future should an accident occur. The sand comes double-bagged to ensure that your set will not arrive a mess with loose sand all over the box. 100% SOLID WOOD DECORATIVE DESIGN: Our Zen Garden's decorative 10x10x1.6 inch base is made of 100% solid wood with a luxurious high gloss dark red finish. The unique and original design looks just as good on a table as it does on a desk, counter, or shelf. 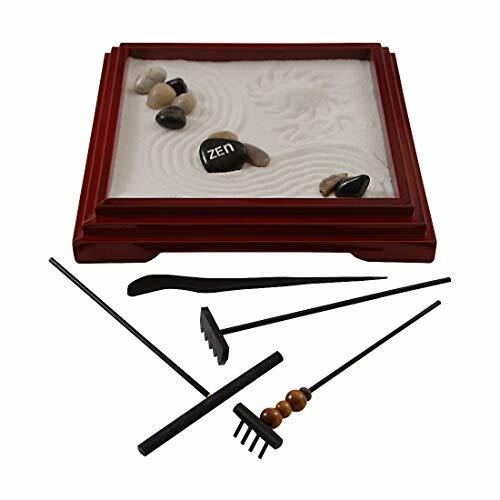 THE ONLY ZEN GARDEN YOU WILL EVER NEED: Original decorative design, high quality wood, 4 beautiful and unique tools, contains extra sand and has an extra deep base, this Zen Garden will last you a lifetime. Click Add to Cart to get yours now! And finally, the great office classic. Get in touch with your inner Buddha with an elegant Zen sand garden. It comes with sand-raking tools for creating pretty patterns and a couple decorative rocks to scatter around. It’s also a soothing ASMR toy (see the magnetic version above), for those who like that brand of stimulus. For everybody, it’s an aesthetic tribute to the far East, as a classic and elegant toy which is fun to play in and looks great as a decorative accessory.